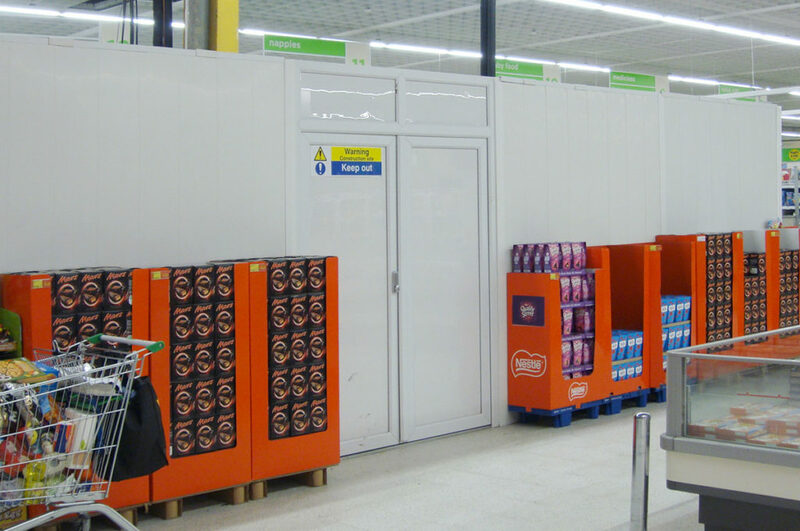 Reuse-A-Wall™ has been installed in hundreds of the UK’s best known supermarkets such as Sainsbury’s, Asda, Tesco, Co-Op and Lidl. 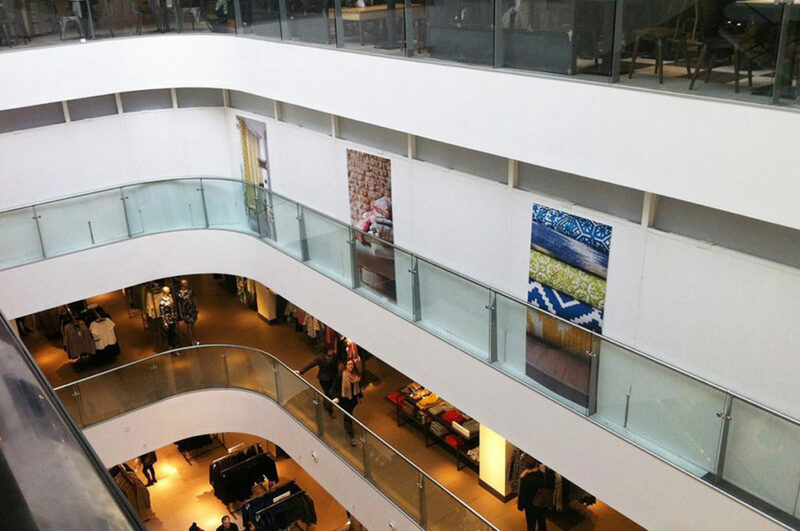 Our internal hoarding is a modular system so it provides unrivalled flexibility and strength. The panels are impact resistant designed to withstand collision damage from pedestrians trolleys. The system is easily cleaned, food safe and an anti-bacterial version is available to order. Reuse-A-Wall™ has been designed in such a way that the installation and dismantle phases can be carried out with minimal noise and disruption to occupied premises, which makes our internal hoarding the ideal product for any refurbishment project. 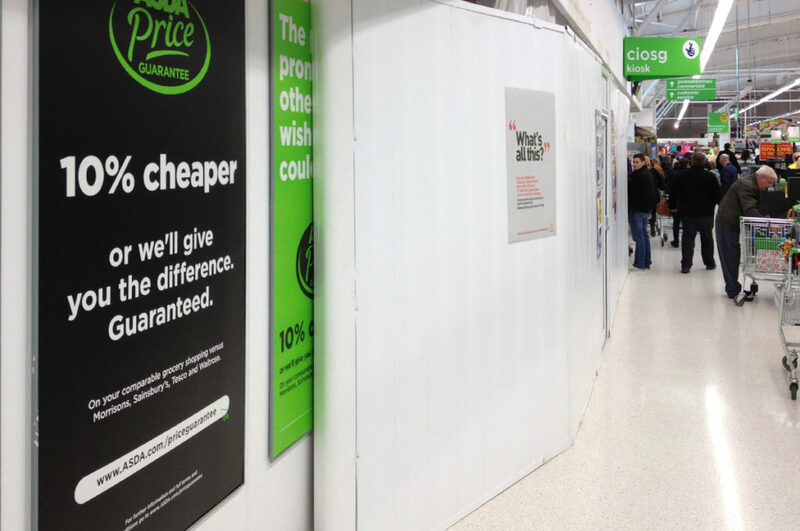 Reuse-A-Wall™ have also supplied various other well known retailers such as Homebase, PC World/Currys, IKEA and Wickes.